A community filled with natural treasures, Oakland Township has established itself as a leader in sustainable planning and has committed to balancing preservation of the pristine natural environment and quality of life so valuable to its residents. 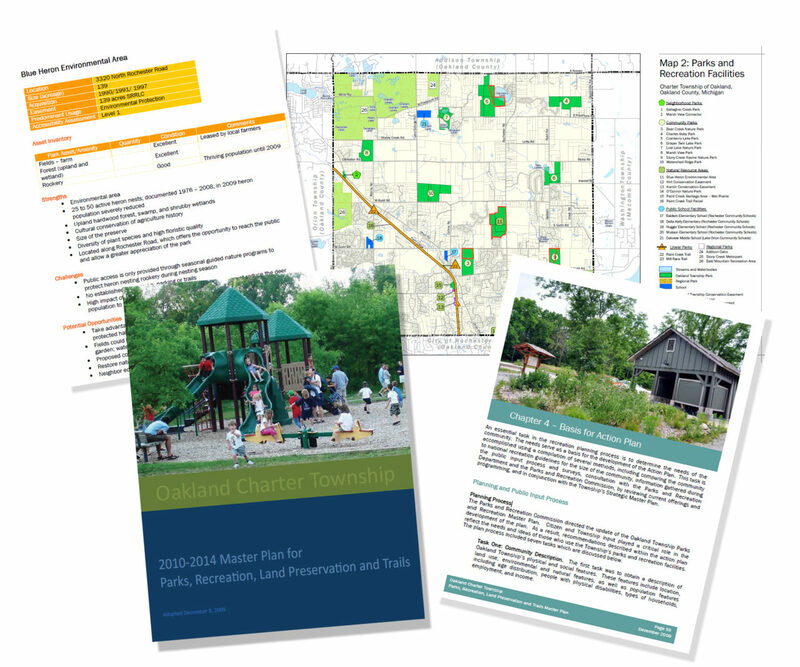 The goal of the Oakland Township Parks, Recreation, Trails, and Land Preservation Plans developed over the last 10 years have been to explore opportunities to balance the desires of residents while preserving open space and meeting increased demands for active recreation from horseback riders, mountain bikers, hikers, and nature enthusiasts. The 2011 update not only focused on achieving these goals, but it also went a step further to strategically identify opportunities for staffing, programming, and completing an in-depth cataloging of each park, its amenities and resources, and each trail.